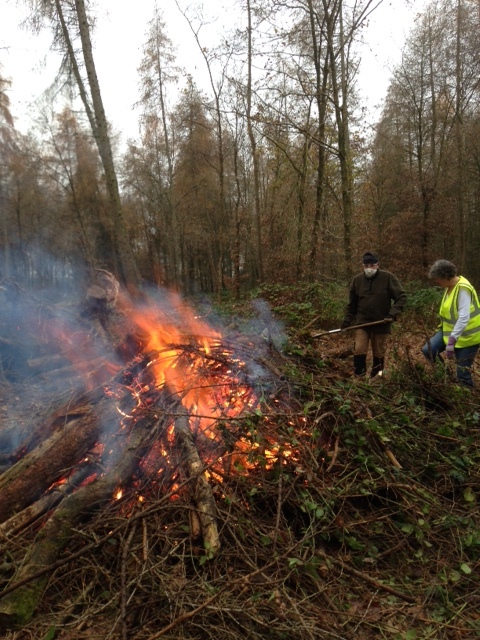 Since our AGM in September the volunteers have been working hard to clear an area of bramble in Hillas Wood which will become a ‘nursery’ for young hornbeam, beech and oak trees. These saplings will be used to replenish the woodland in areas where new regeneration is needed, particularly along the boundaries where ancient Hornbeam is in need of expert intervention. Over the last two or three sessions in the woodland we have been hacking back the brambles in a discrete area of Hillas in order to allow TRDC to get into the area with machines which can extract Larch roots and then rotivate the area to remove bramble roots. This is an exciting project for our volunteers as we will be involved in clearing, then planting the nursery and tending the new saplings until they are ready to be used across the woodland. 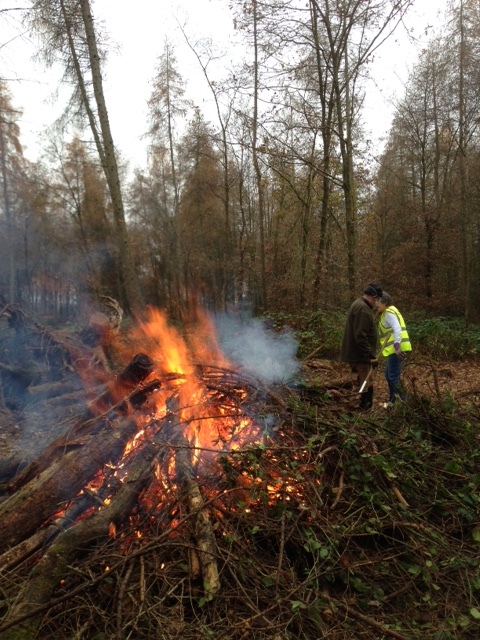 Our December session involved us having a fire to burn all the brash collected (agreed and overseen byTRDC). There is still more work to be done clearing brambles, which can be a trying exercise but the results we have achieved in a relatively short space of time are astonishing. The attached photo shows us enjoying our bonfire session! This entry was posted in Uncategorized by bgreenshirelane. Bookmark the permalink.